Before creating your website and its design, it is essential that you establish specific objectives. In this sense, what is sought is to set goals and determine a particular online strategy. It should be noted that the decisions that you and your team of professionals make during the design phase, will significantly condition the other phases of the creation of your website. In addition, by setting specific objectives you can determine the steps or the particular tasks to be followed to achieve them, which will further facilitate the process of creating a web page. This is due to the fact that when establishing specific objectives there is a greater clarity of the procedure to follow in each stage of creation of the web, avoiding any type of arbitrariness. In the online world and the world of communication in general, it is important that you are well positioned and visible to a large number of users. For example, if you have a pizzeria as a business and it is located in the vicinity of the city it is important that your potential customers can find you easily and quickly while searching the Internet. Otherwise, you will find some of your competitors. In this sense, in order to make yourself visible and accessible to everyone during 24 hours a day, you must have a relevant position. A website can be considered as a showcase where you can see all the activities of your company, as well as the products and services you offer. So it is essential that you are well positioned so they can easily find you. Selling online must represent another of the main objectives of your company. For this, you will need your website to be more elaborate and to have a space or module of orders and payments. On the other hand, it is necessary to adapt the logistics of your company to the website to guarantee your customers the timely delivery of the products. Also, managing or managing the stock of your company is important if you do not want to lose customers or apply long periods to your consumers. In this sense, the sale of your products or services consists of a more extensive and complex work, especially for a simple web page. Contacts through the Internet are essential for the sale of your products and services. Those who visit your website have a particular interest in your activity. For this reason, it is essential to create a contact form where you can store your personal data. To do this, you have the option of subscribing to the newsletter of your site, requesting a quote for your products or services or sending monthly brochures. The data you collect will help you to focus better on the direct marketing actions that you are going to undertake later. The content on your website is a very important element. Texts are useful to provide relevant information to users and to answer any questions or questions, even before they are formulated. In this sense, there are some simple rules that you can take into consideration so that your text is as clear as possible. Combine colors: The first rule you should keep in mind is to make sure that your colors match each other. As an example, if you use a white background but your font has a variety of colors, users may find it annoying and desist from continuing to view your website. This is not the result you want, so try to make all the text of your site easy to read. Avoid very small sources: Secondly, it is recommended that you do not use a very small font size. Although at first sight they look good and attractive, the look is not the only thing that is needed to get the attention of your readers. Therefore, you must make sure that your users can understand your message without trying hard. Do not use more than three sources: Third, your web page should not have more than three different sources. 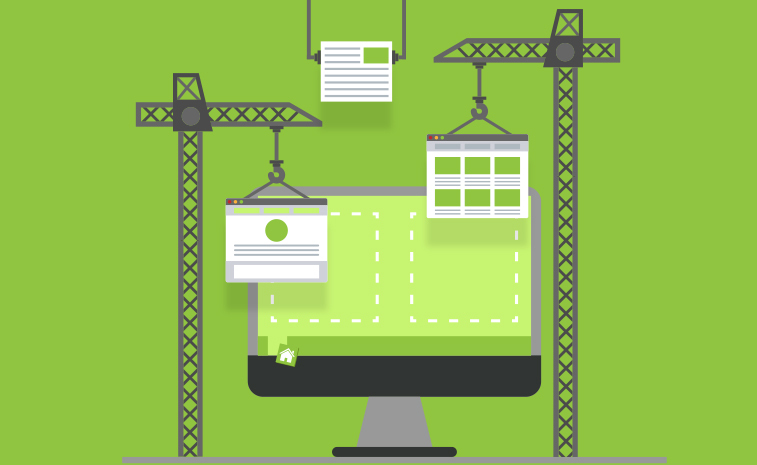 Two sources can be more than enough for your website. Also, make sure that the sources you are going to select are easy to read for your users. In terms of usability it is best to facilitate the browsing of users on your page through the selection of appropriate sources. It is important that you take these recommendations into account when designing your website, as they will allow you to create a more professional image. In this sense, you will be able to attract the attention of a greater number of potential clients and you will be able to maintain the interest of current clients. It should be noted that if you do not have time to develop the design of your page or do not know how to do it, the best thing is that you go to professionals in the sector, so they can provide you with advice and a comprehensive and quality service. Its objective is to offer all kinds of technical and creative help in order to deal with any project related to websites, photography, corporate design, web positioning and video. Therefore, do not hesitate to contact them and get the advice you need. create a web page, Web Design, web page. Bookmark.